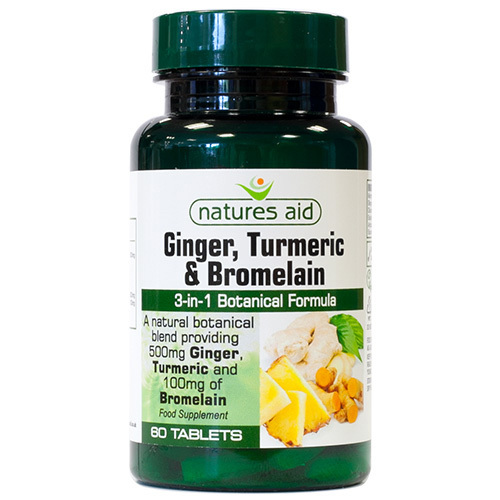 Natures Aid Ginger, Turmeric and Bromelain is a natural botanical blend proving 500mg of ginger and turmeric and 100mg of bromelain. 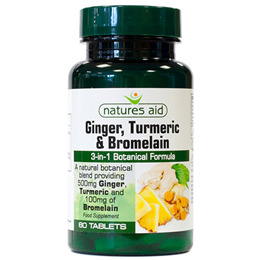 Below are reviews of Natures Aid Ginger, Turmeric and Bromelain - 60 Tablets by bodykind customers. If you have tried this product we'd love to hear what you think so please leave a review. Really like this product , keeps you healthy no side effects. I'm sure they help my rheumatism, as well as having general health benefits.